Making you own nut mylk is very easy and one of the first steps we encourage you to take on your journey toward healthy plant based living. Nikki and I started making our own non dairy milk a couple of years ago after my little fit in a grocery store. I just couldn’t understand why the heck the list of ingredients on a simple almond milk was so long? Do we really need to be drinking guar gum, carrageenan and lecithin as part of almond milk ? After a little research I found out that these common nut milk additives are used mostly as preservatives, thickeners, and stabilizers, homogenizing the mixture and thickening it to better resemble cow’s milk. 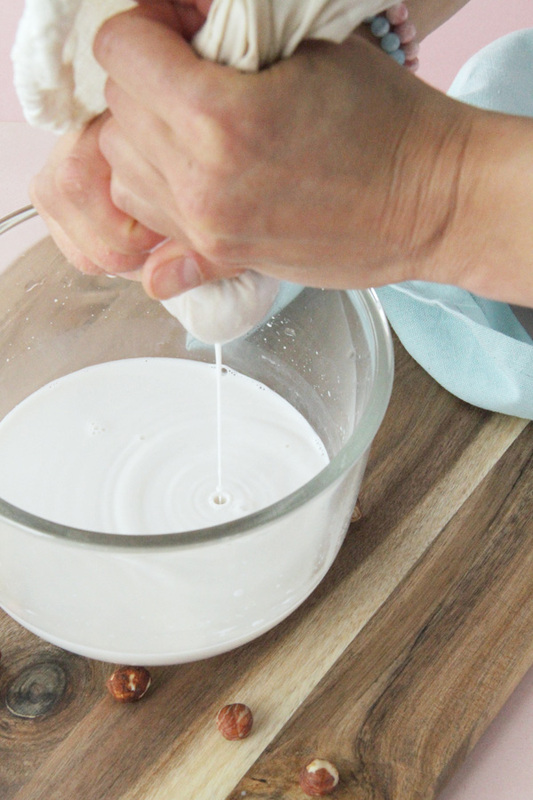 Without these additives, nut milk will separate. Yes, that is true. 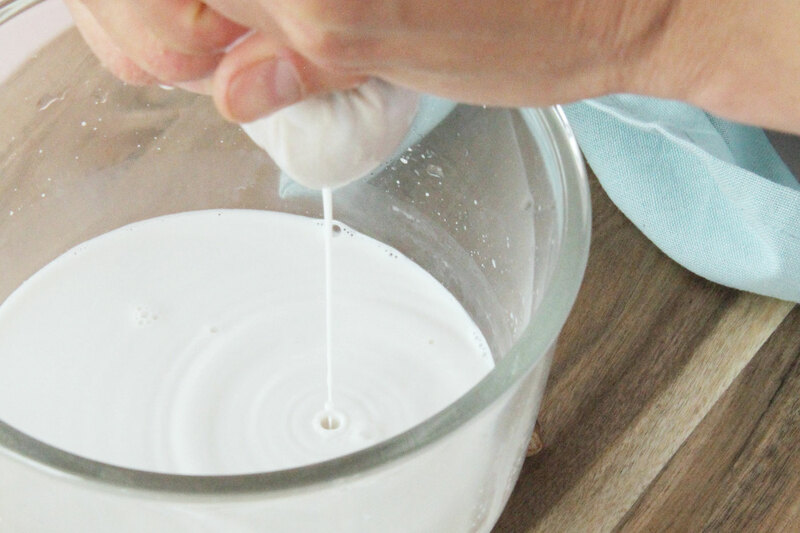 If you’ve ever made your own nut milk you know exactly what I am talking about. But guess what? All you have to do is shake it. Pretty simple task do and the pay off is you will avoid all these unnecessary ingredients. 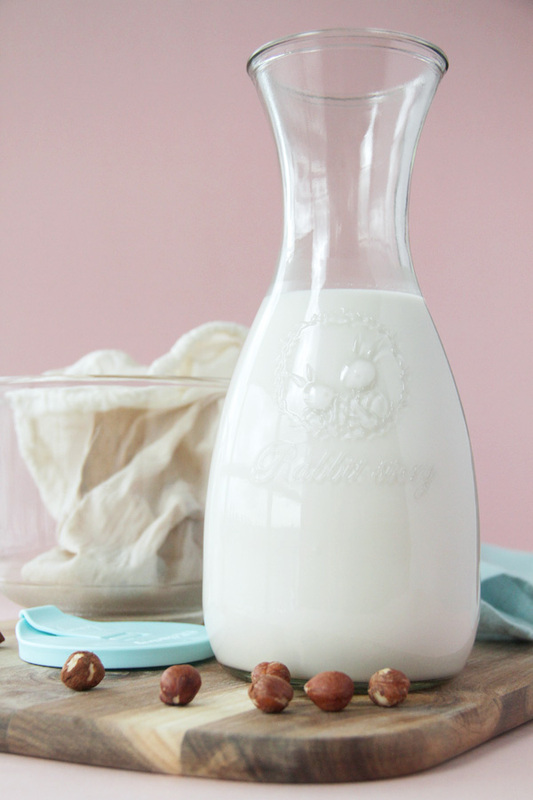 Today we are bringing you a recipe for Hazelnut Mylk. This mylk has a fairly strong deep hazelnut flavour and works best in chocolate smoothies, avocado puddings or in your morning coffee. So lets get started! Hazelnuts are very high in energy and loaded with many health-benefiting nutrients that are essential for optimum health. They are rich in mono-unsaturated fatty acids like oleic as well as essential fatty acid, linoleic acid that helps lower LDL or bad cholesterol and raises HDL or good cholesterol.Hazel nuts are an excellent source of vitamin-E; contain about 15 g per 100 g (providing 100% of RDA). Vitamin E is an important fat-soluble vitamin and antioxidant that helps combat inflammation and make red blood cells. It also helps your body use vitamin K, which is important for heart health. Soak the nuts in 2-3 cups water overnight. Pour the milk back into blender and add rest of ingredients (dates, salt and vanilla if using). Blend well. 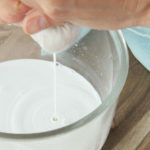 Transfer Mylk into a glass jar with a lit. Refrigerate. The mylk will keep in the refrigerator for 3-4 days.